Books are a great way to connect with a child emotionally. 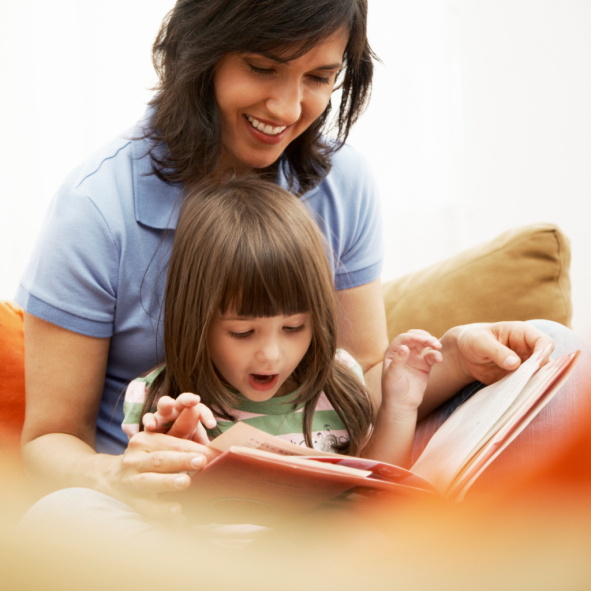 Books are a wonderful way to engage children in thought and discussion about adoption. It can be difficult sometimes to put our thoughts into words that children will understand. Luckily, children’s books speak the language of children. Through metaphors, creative storytelling, and beautiful illustrations, children’s books are able to capture a child’s attention and convey a message that sticks. Here are a few great children’s books that help parents to discuss the topic of adoption with their children. This is a heartwarming story of two penguins at the Central Park Zoo, Roy and Silo, who want to raise a family. With the help of the zookeepers, Roy and Silo adopt baby Tango to become a loving family. This book won the ASPCA Henry Bergh Children’s Book Award and is narrated by award-winning actor Neil Patrick Harris. Families with two fathers find this book a helpful aid for broaching the two difficult subjects of adoption and of having two fathers. This charming picture book is about a young girl asking her parents to tell her the story of the night she was born and adopted by her loving parents. As the story progresses, it becomes clear that the girl knows the story by heart and cherishes every word. This is a great book for building strong attachment between adoptive parents and adopted child. This uplifting book is specially made for families of transracially adopted children. This is a great book to help parents answer the question “Why do I look different than you?” This book celebrates differences while fostering a sense of belonging in the family. This entry was posted on Friday, March 4th, 2016	at 11:54 am	. You can follow any responses to this entry through the RSS 2.0	feed. Both comments and pings are currently closed.